Have you ever heard the term coconut charcoal? Well, by hearing the name only, it is actually clear enough that it refers to a kind of charcoal made from coconut. The charcoals have known for some years to give some more benefits to users compared to other types of charcoal including the charcoal coals and carbon charcoal anyway. Sure, if you want to get the best and original coconut charcoal, you must go to the right place or provider. 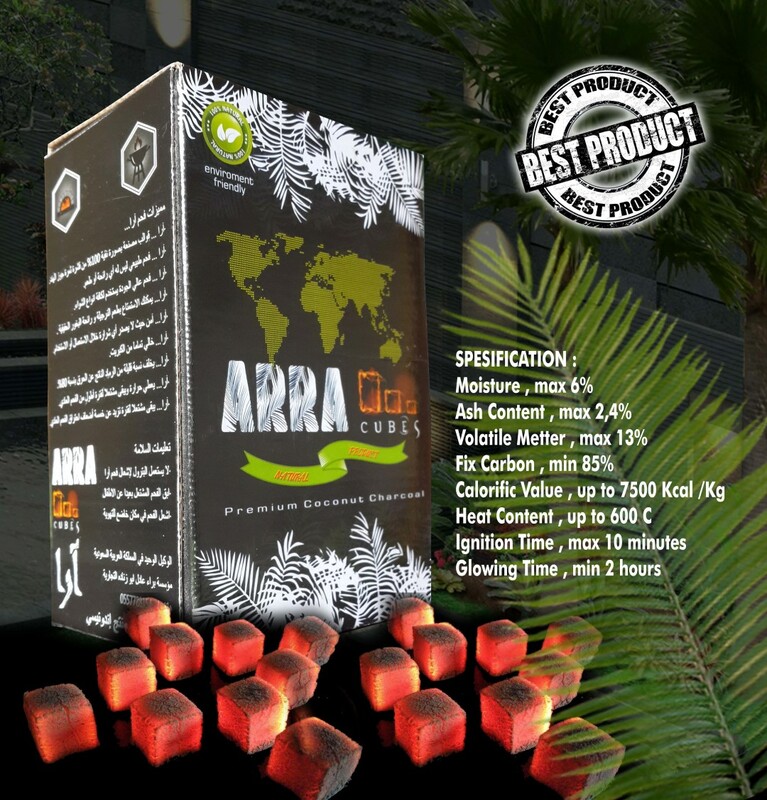 ARRA is one of the providers of coconut charcoal based in Indonesia. The coconut charcoal briquetting produced and distributed by ARRA is known to be 100% original as well as the production process is guaranteed to be safe. In general, coconut charcoal has so many benefits in our life. One of them is as the shisha ingredient. Shisha is one of the smoking methods popular recently for the lower risks it given. Meanwhile, to produce the smoke and heat, it is indeed the charcoal as the main ingredient. Shisha charcoals from ARRA have some specifications as follow. They are moisture with the maximum content of 6%, ash content with the maximum content of 2.4%, volatile matter with the maximum content of 13%, fix carbon with the minimum content of 85%, calorific value which is up to 7500 Kcal/ Kg, heat content which is up to 600%, ignition time of maximum 10 minutes, and glowing time of minimum 2 hours. As information, the specifications mentioned above are only for shisha. They should not be added or lessened in order to keep the good quality. Besides, it is also to ensure that the shisha produced is still good for the users’ health without too many side effects. Of course, for other necessities including as fuel or cooking, the components or specifications are different. For the quality that is try to be maintained by ARRA coconut charcoal, it is not exaggerating if this brand is highly recommended. Interestingly, ARRA coconut charcoal has been trusted by many customers, not only in Indonesia but also all around the world. There are some countries that choose this brand to support their industries and fabrications. They are Brazil, Germany, Russia, and Jordan. 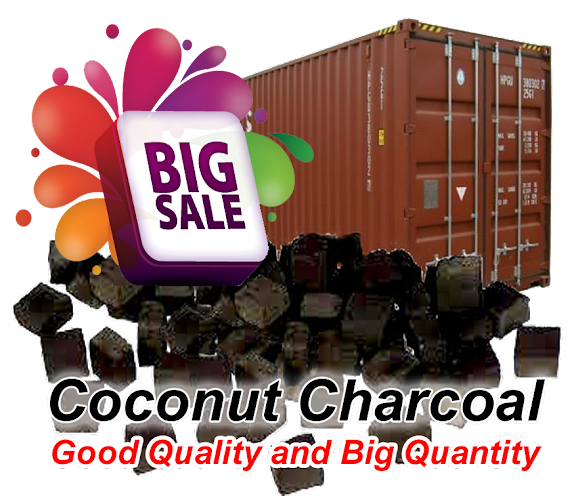 Aside from the quality product, the services given by ARRA coconut charcoal are also ultimate to satisfy the customers more. 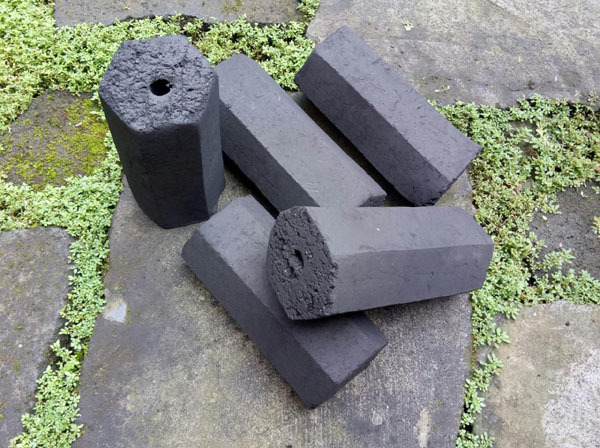 To fulfill the customers’ demands regarding charcoal briquetting, ARRA Coconut Charcoal makes the products available in some shapes and sizes. Some common shapes are the cube, circle, and hexagonal. All of them are basically can be used for shisha as long as the sizes are not too big to enable it to be placed in the shisha pipe. Sure, for other necessities, ARRA Coconut Charcoal provides products with different shapes and bigger sizes. For some reasons mentioned above, it is clear that the coconut charcoal products from ARRA are guaranteed to be qualified. Besides, the services are satisfying to make it more trusted by customers worldwide. One more thing, even the price is really friendly as well. So, what are you waiting for? 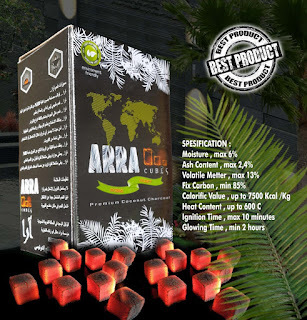 in term of coconut charcoal for shisha, it is only ARRA which is the best answer. Everybody knows about barbeque. This cooking technique is so popular. Some people use coconut charcoal, and other people use hardwood charcoal. Which is better? Coconut barbeque refers to grilling technique by using coconut charcoal. Many people use coconut charcoal because it makes barbeque process becomes faster and easier. There are so many advantages will you get if you choose coconut charcoal. First, coconut charcoal has high heating value, which is up to 7000 cal. It means that grilling ingredients or meats using coconut charcoal will make you easier to make meats become well-cooked. Not only about heating value, coconut charcoal can last longer. After you burn coconut charcoal, you can use it for grilling in long hours (2-3 hours). Coconut charcoal is also charcoal with lower sulfur level. So, it is safer than other type of charcoal. When you burn coconut charcoal, you will not see smoke because coconut charcoal doesn’t produce smoke. So, it is recommended charcoal for bbq. How about hardwood charcoal? Actually, it has similarities with coconut charcoal briquette. It can make food more delicious because hardwood charcoal can give unique taste to your food. Hardwood charcoal also lights more quickly, compare to other types of charcoal. So, no wonder if many people use hardwood charcoal for barbeque. Hardwood charcoal creates less ash. It can also burn hotter (around 1000o F). So, if you use small amount of hardwood charcoal, it still make you easy to grill your ingredient and meats. In Indonesia, many people use hardwood charcoal to create delicious bbq Indonesia. From the explanation above, we can conclude that coconut barbeque and charcoal barbeque are good to grill ingredients or meats. You can choose charcoal depends on your need. But for your information, coconut charcoal is so popular today. Coconut charcoal has high demand in Australia, Asia, America, and the Middle East.